2018 marks the 90th anniversary since the first Australian Grand Prix was held, at Phillip Island on 31st March 1928. To mark the occasion our friends at the Australian Grand Prix Corporation made way for fifteen minutes of track time parade on the main day of the action, Sunday 25th March 2018. Left” The Delage DG70S Le Mans of Andrew Lawson, and the Bugatti T37 of Jason Nichols. A great mix of over 50 racing, sports-racing and sports cars took to the track under basking sunshine. Former Formula One driver and five-times Le Mans 24 Hour winner, Emanuele Pirro took part in the parade in a car that has an equally impressive resume, the Cooper T70. The T70 was built by Bruce McLaren, who competed and took out the 1964 Tasman Series in this car. There were some AGP winners and place-getters on track; including the 1034 & 1937 winner, the MG PA (driven in those years by Les Murphy. 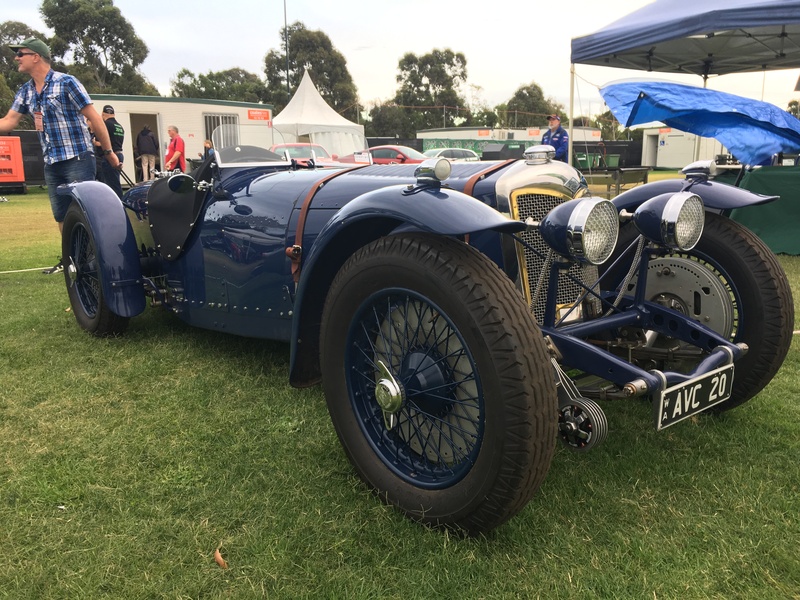 It was accompanied by another two MGs, the ex Jack Brabham MG TC and ‘Vulgarilla’, another MG TC slimmed-down and made into a great Aussie-special. Talking about Aussie-specials. 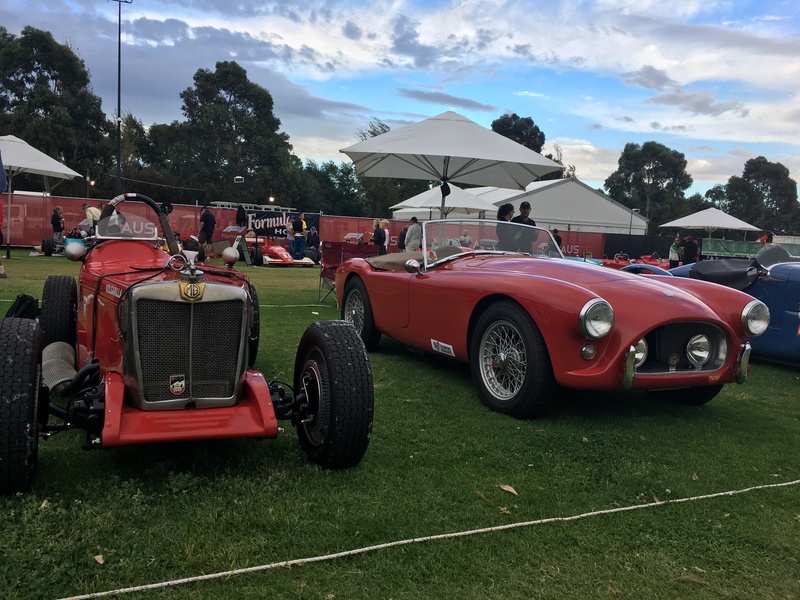 The Snape family brought no fewer than four cars to the parade from NSW; including the Zephyr Special that Eldred Norman drove to 8th place in the 1955 AGP at Port Wakefield in SA. The AGP also saw sports-cars race in the early events and we saw two of these on track with the AC Ace-Bristol of Bob King, and the Allard J2-Cadillac of Ian McDonald. This car was delivered new to Australia for ‘Galignite’ Jack Murray who raced it in 1951 & 1952, most notably finishing fourth in the 1952 AGP at Bathurst. Augur ably the most famous of all Aussie-specials, Maybach MkI was also on track at Albert Park in 2018. At that 1952 AGP, this car placed second in the hands of Stan Jones. The Maybach was built by Charlie Dean (of Repco fame) using a Maybach Scout Car engine from WWII. Maybach Mk I went on to win the 1954 New Zealand GP in the hands of Jones. The pre-WWII era was showcased too, including the 1935 Riley TT Sprite that had travelled for the parade from NSW. This particular car is one of five Works cars built and entered for that year’s Le Mans 24 Hour race – in which this car finished in fourth overall. Left is ‘Vulgarilla’, the ex. Lou Molina MG TC Special, with the AC Ace-Bristol alongside. Bob King’s AC Ace-Bristol is a rare, Australian-delivered example which came direct from the Works factory. Although no specific AGP history, it is a representation of the types of sports-cars in the late 50s, early 60s that took part in the Grands Prix. 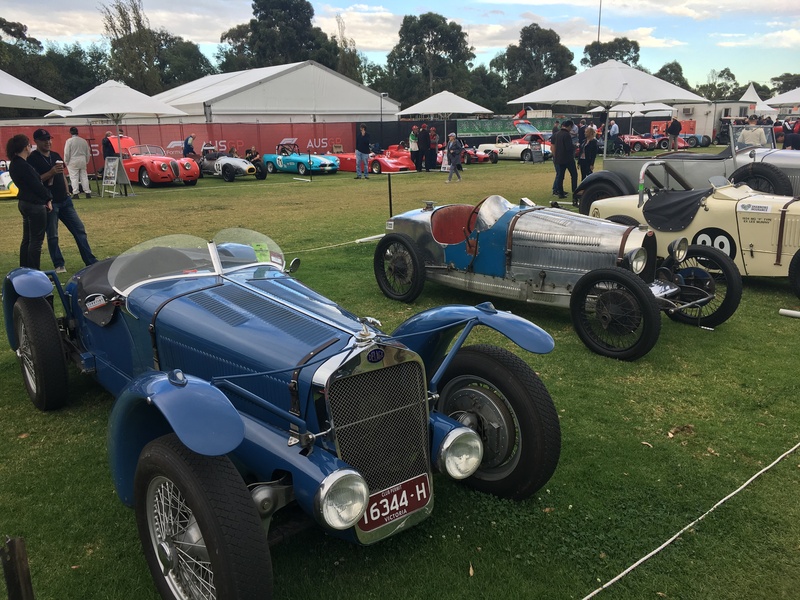 It was a thorough display and parade of the cars from yesteryear that make up just part of the history of the Australian Grand Prix (pre conducting of an AGP in the Formula One era).